Should you buy a Kindle? Essentially that is the question you have to ask when deciding to splash out for an e-reader. Amazon effectively owns the space with its combination of products and its amazing selection of e-books. 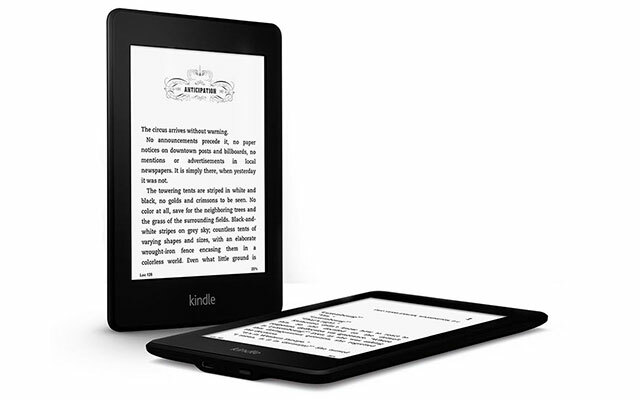 The new Paperwhite comes with upgraded display technology, with higher contrast, faster processor, and new reading features such as “page flip”, “smart lookup” and “vocabulary builder”. The Paperwhite 2 has only major outward change made to it, which easily identifies it: a glossy, black Amazon logo on the back of the device. Physically, the reader is 169mm x 117mm x 9,1mm in dimension and weighs a light 206g. The 6-inch display uses e-paper technology with a built-in light, has 16-level grayscale and 221ppi pixel density. It has a 1GHz processor, comes with 2GB of internal storage, with 1,2GB allocated for user content, and it holds about 1 100 books. The device does not have any physical buttons on the front, which takes a bit of an adjustment for anyone updating from older Kindles. The Paperwhite is ready to use straight out of the box, and does not require a PC for setup. In order to purchase books, you obviously have to have an Amazon account, which comes with free cloud storage. The device charges fully in about four hours through the USB cable supplied in the box (there’s no wall charger). It comes in Wi-Fi and 3G variants. The Paperwhite name means you read it like you would paper. There’s no glare, and contrast has been improved on the second-generation Paperwhite.The high-resolution screen displays sharp and crisp text, which is customisable. You are able to change the font from six available options, and you can choose from different text sizes and adjust the line spacing and margins. You can also adjust the brightness of the Kindle’s light between “one” if you are in a dark room and “24” if you are in a brightly lit area. It works a treat. Amazon says the new Paperwhite’s processor is 25% faster than the previous generation’s, which means books open quicker and pages turn faster. It is noticeably faster than the older Kindle Touch 3G. The capacitive touchscreen has also been improved for a more accurate response. The device is speedy and there’s no lag to speak of when turning pages or performing other actions. New features on the second-generation Paperwhite are “page flip”, “vocabulary builder” and “cloud collections”. “Page flip” lets you skim by pages or chapter without losing your place, while “vocabulary builder” automatically adds words you’ve looked up in the dictionary, and then displays them in context when you go back to them. “Cloud collections”, meanwhile, lets you arrange your library in custom categories and lets you access your other Kindle devices and reading apps. One of the Kindle’s best features is Whispersync. It lets you pick up where you left off on any linked device, be it on your Kindle, tablet, smartphone or even your PC. You can seamlessly switch between devices without losing your place. Kindles are known for their fantastic battery life, and Amazon says a single charge will give you up to eight weeks of use. This is dependent on half an hour of reading a day with the Wi-Fi turned off and the brightness level set to 10. Above average use easily requires only a charge a month. 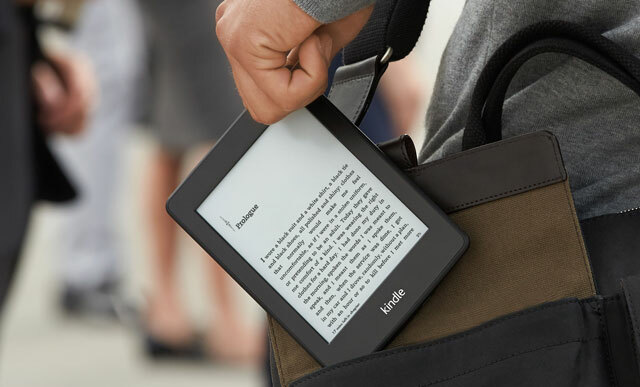 The e-reader supports a wide range of formats such as Kindle Format 8, Kindle, .txt, .pdf, .html, .doc, .jpg, .gif, .png, .bmp and unprotected .mobi. Amazon claims to have the lowest prices on e-books and the largest selection, with over a million titles at US$4,99 or less and more than 1,7m titles at $9,99 or less. It also has a big selection of free books under its public domain, as well as 400 000 exclusive titles. Kindle users can download samples before purchasing. Amazon, of course, also offers personalised recommendations based on books you’ve already purchased. This is wallet-draining, we can assure you.